All in one, interactive Watson bot that can translate images, text, voice, and can guess your age! 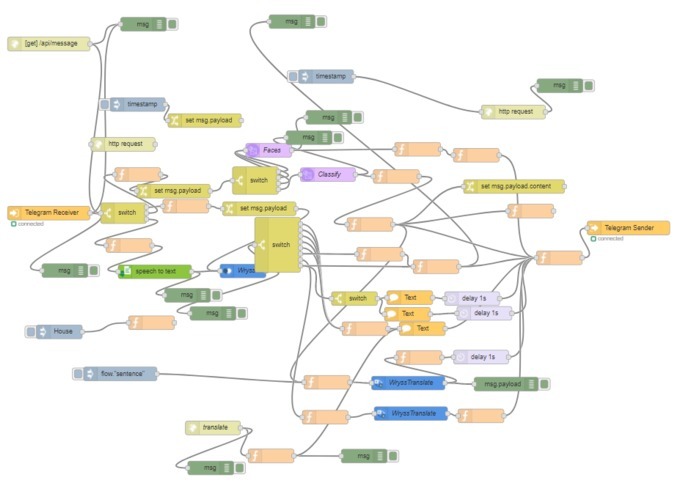 The IBM cloud development platform as well as Watson is full of great features, and we wanted to put them together in a single chatbot, towards a useful translation tool for all ages. 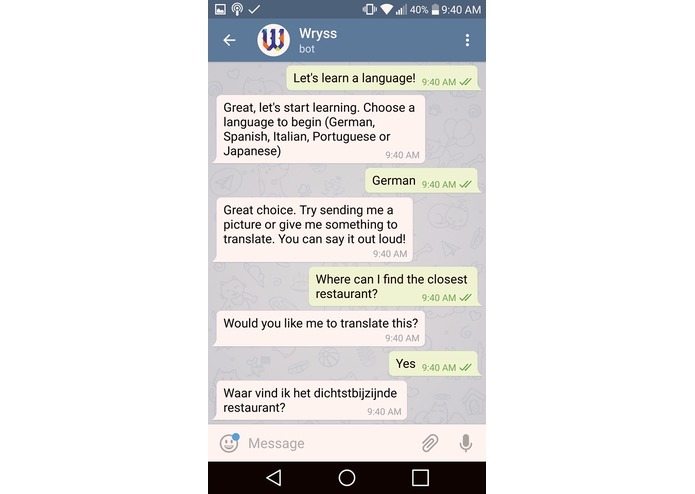 Wryss can translate user input into a variety of languages. It can identify objects in images that are sent to it, and provide the translation of the image subject! The entire platform can also be controlled by the user's voice. 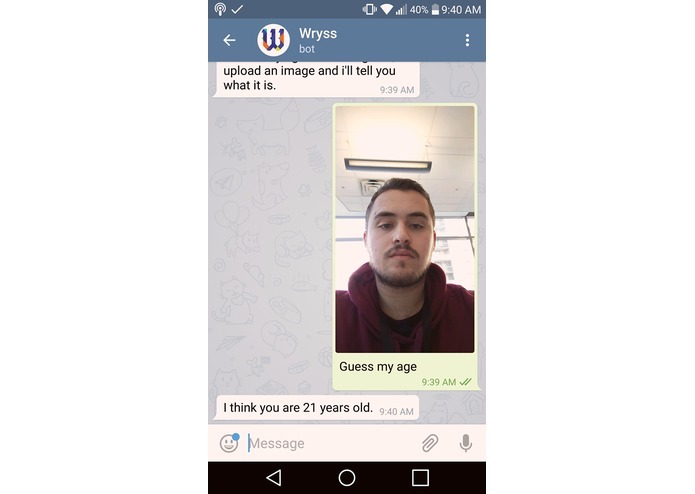 As an extra feature, Wryss can try to guess how old you are! The backend was build with Node-Red, which integrates with many IBM services. It is hosted on IBM Bluemix. The speech-to-text IBM service was used to turn voice into text for the chatbot. 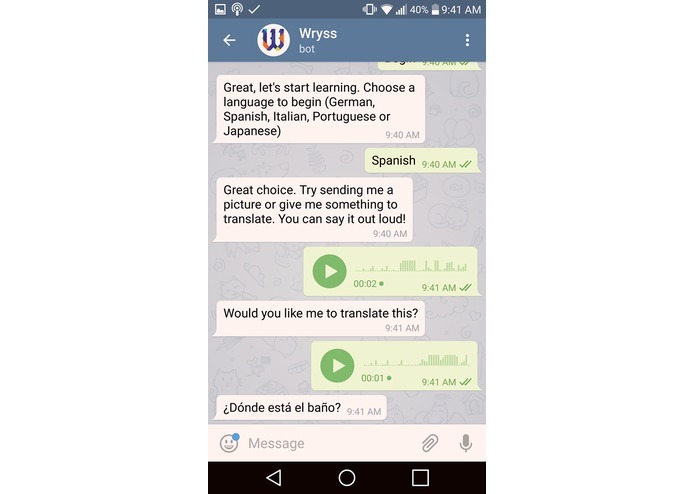 All messages were processed by IBM Conversation, which then used IBM Translator to translate the them into a selection of languages. Images sent to the bot were classified using IBM's Visual Recognition, and visual face recognition is used to guess the users age. It was quite difficult at first to understand the concept behind node-red vs. traditional programming. We found the learning curve to be quite high; it was not the most intuitive tool. We also had a lot of difficulty with debugging certain functionalities. More specifically, certain bugs did not provide very clear or specific error messages, and documentation online about the specific issues that we were facing were almost non-existent. This forced us to abandon the main feature that we intended to implement (integration with Amazon). Having a finished hack despite the many hours that were wasted on trying to debug. We learned that node-red is a very powerful tool once you really understand how it works, but that getting there isn't the most pleasant experience. I learned a lot about node-red. Although it gave headaches, I was introduced to something very new to me. 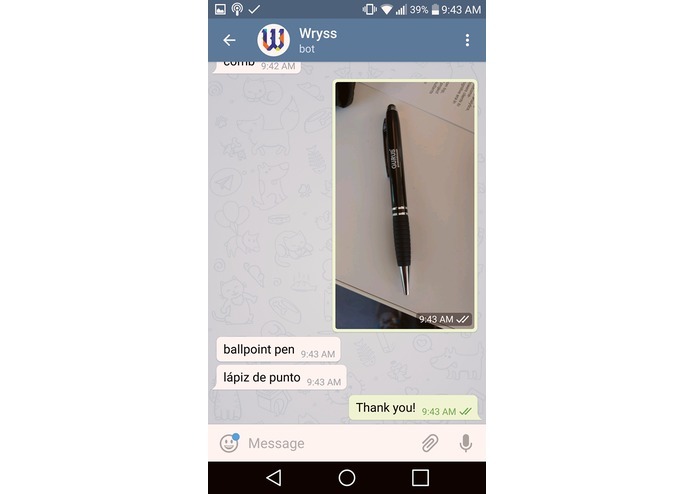 I contributed by attempting to implement a web interface to complement Telegram, and a feature to pull Amazon product listings based on results IBM Watson image processing... However, none of those came to fruition.